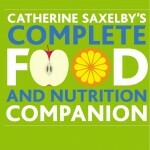 I’m Catherine Saxelby, an accredited nutritionist, speaker, freelance writer, blogger and award-winning author. I can help you make sense of all these crazy diets and weird super foods. including basic foods, ingredients, additives, hot topics and issues. Catherine has packed two years of work between the covers. The most popular and enduring of nutrition books! Sales now almost 500 000. Easy meal plans for summer and winter. towards a healthy weight loss. lower your cholesterol and protect your heart. Our office is located in Sydney, Australia.